At Prime West, we are proud to represent the following Manufacturers in quality Lighting, Controls, and Accessories. Click on a manufacturer to visit their website. Active Safety - A pioneer in the photoluminescent exit sign and marker industry, Active Safety products are protecting thousands of buildings throughout the world, ensuring that occupants promptly locate exit pathways, exit doors and emergency equipment. AFX - AFX offers award-winning decorative fixtures that fuse industrial design with an artistic flair. They provide the perfect union of lighting beauty and smart design. 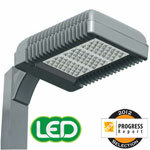 Products that have re-defined energy-efficient lighting while utilizing the latest in LED technology. Airey-Thompson - Since 1935, Airey-Thompson Co. Inc. has been serving the Electrical Industry, specializing in fluorescent and incandescent extruded aluminum linear lighting for commercial and telecommunications applications. Alera Lighting - Alera Lighting is a leading manufacturer of architectural and specialty fluorescent luminaires for offices, schools, and institutional buildings. Note: Hubbell Lighting brand. All Green Lighting - All Green Lighting's mission is to provide eco-friendly and cost-effective lighting systems. Their experienced R&D team offers personalized technical support based on idividual clients needs. American Nail Plate - ANP Lighting has been skillfully integrating design aesthetics, engineering excellence, and advancing technology to manufacture the industry's only all-LED line of decorative architectural lighting and warehouse-inspired RLM fixtures. Best Lights - Best Lights manufactures the most energy efficient indoor sporting light fixtures in the world. Our patented fixture designs achieve higher light levels with fewer fixtures saving our clients millions of dollars in energy costs. Built into every fixture is durability for long life. 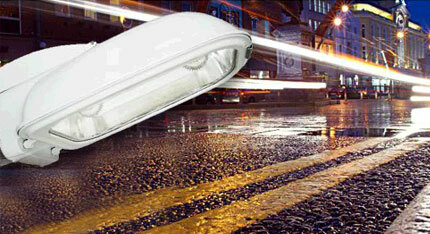 CAO Lighting - CAO Lighting is an innovation leader and has created many fundamental technologies in LED lighting. Their advanced technology, high quality, superior service, and competitive price are enabling their products to serve the customers in the highest satisfaction. Casey Architectural Lighting - With over 75 years experience of fine craftsmanship in their fabricating department, Casey Architectural Lighting creates and manufactures the best in quality custom lighting solutions. Specialize in lighting for institutions, churches, restorations, and other types of custom and architectural lighting. Proudly built in the U.S.A.
C3 Lighting - is a unique company that designs, engineers, and manufactures LED-based lighting products for specialized applications. C3 Lighting pioneered Remote Power and Control of LED Illumination, also known as Distributed DC Power. 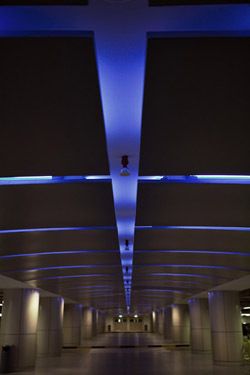 In 2009 C3 Lighting, Inc. proposed that the LED should be considered simply one component of a lighting system, allowing a building’s illumination to be more easily configured as a network. In addition, the conversion of AC to DC power to drive a fixture’s LED’s should not be on or in a fixture, but in a central location. This eliminates LED drivers and the controls required for dimming and illumination color changes from fixtures. This model is the basis for C3 Lighting’s Remote Power and Control Network for LED Illumination. CGF Design Inc. - CGF Design Inc. specializes in the design and production of commercial, industrial, and decorative architectural lighting fixtures. We combine contemporary styling with the latest technology and spec-grade construction to fulfill an assortment of accent and security lighting applications. Chameleon Lighting - The idea behind Chameleon Lighting is to get rid of the need for other lights in a space when using decorative lighting. ConTech Lighting - ConTech Lighting is your resource for innovative, high-performance and sustainable lighting solutions. Since the founding in 1980, ConTech has been committed to providing the best fixture designs and product engineering available. That’s why they are the lighting manufacturers that designers trust to meet their high expectations. Controlled Power Company - World's recognized authority in power treatment. Coronet Lighting - Coronet continues to grow and exceed expectations in producing high-end architectural luminaires quickly and efficiently. Their ability to engineer custom lighting fixtures per job-specific needs continues to leave their customers satisfied. Dabmar Lighting - Leading manufacturer of landscape and quality lighting for residential, commercial and industrial use. Digital Lumens - They are distinguished by breakthrough technology, a management team of proven visionaries from the solid-state lighting and distributed networking industries, and proven results from real-world client deployments. 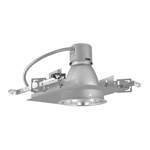 dmfLight - dmfLight offers an extensive selection of recessed, track, and specialty lighting ideal for residential and commercial applications. The brand prides itself on providing value-driven, innovative lighting solutions - delivered on time, within budget. Douglas Lighting Controls - Today, Douglas Lighting Controls Inc. continues to engineer, manufacture and distribute, lighting control products. They manufacture a full line of lighting control products from basic components to pre-assembled systems. Envoy Lighting - Envoy Lighting, Inc. has manufacturing relationships throughout the United States and Asia and offers quality commercial and industrial lighting products at competitive pricing. Envoy Lighting offers "Made in the USA", specification grade and retrofit lighting products. Eureka - Founded in 1987, Eureka is a North American leader in decorative lighting solutions manufacturing. Eureka provides a wide range of flexible products designed to meet the needs of architects and designers to enhance contemporary working and living environments. Everbrite Lighitng - Everbrite Lighting designs, builds and tests a host of lighting products. Their long standing commitment to quality and innovation continues with technology. Evergreen Lighting - Produces handcrafed architectural lighting for interior, exterior, combined, and custom lighting applications. Virtually all of the fixture components are manufactured at Evergreen Lighting. Proud to say, "Made in the USA". FC Lighting - As a pioneer in LED technology, FC Lighting provides innovative, high value solutions to our strategic partners by manufacturing highly effective, earth friendly products. FC Lighting continues to be one of the foremost leaders worldwide in research and development for creative LED applications to exceed customer’s expectations in quality, delivery and cost through continuous improvement. Forum Lighting - All Forum fixtures are engineered and manufactured to provide cutting edge efficiency and quality design at competitive pricing. Forum is an independent lighting fixture manufacturer of architectural lighting systems for commercial, office, retail and custom applications. G Lighting - Their mission is to provide quality architectural lighting products and personal service to their clients through project completion. Gallaxy Lighting - Gallaxy Lighting manufacturers an extensive range in energy efficient residential and commercial lighting products, as well as a wide range of interior and exterior lighting. Global Tech Led - Offering LED Retrofit Kits and Fixtures, they are committed to providing an unparalleled standard of excellence, including a selection of high quality products at the most affordable prices. Hera Lighting - Hera Lighting designs, develops and manufactures high-quality lighting solutions specifically for cabinets, furniture and displays. From lighting layouts to installation, our experts are here to help with every step of your project. Hubbell Lighting - Hubbell Lighting is a leader in the lighting industry. Hubbell Lighting draws great inspiration from the company's long history of proven performance since 1888 and its culture of new product innovation. Headquartered in Greenville, South Carolina, they rank among the top lighting companies in the world. Thier state-of-the-art research and development labs mean faster-to-market innovative product development. With a commitment to achieving excellence and a focus on being recognized as the best lighting company in the industry, Hubbell Lighting knows that exceptional customer support demands professionalism before and long after the sale. 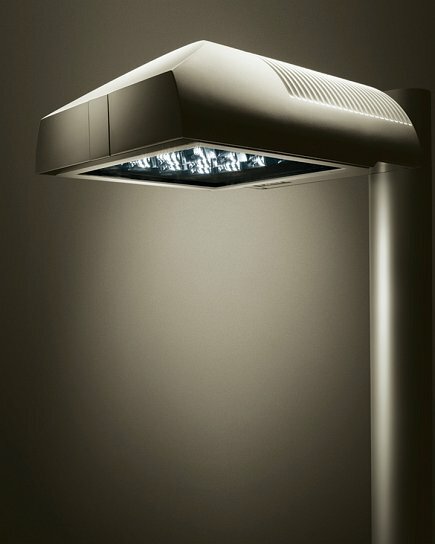 iGuzzini - iGuzzini was established in 1958 and produces today indoor and outdoor lighting fixtures. It is the Italian leader in technical and architectural lighting and ranks amongst the leading companies in Europe. The company has received many international awards for innovation, design and eco-sustainability. By working with architects, engineers and designers, they provide innovative illumination solutions and technically advanced lighting systems. Since June 2008, iGuzzini, in conjunction with the owners of Sistemalux Group, has created iGuzzini Lighting North America. ILP - (Industrial Lighting Products) has focused its business solely on manufacturing high efficiency lighting products for a wide variety of commercial applications, providing the most comprehensive line of fluorescent, induction, and LED fixtures on the market. Intra Lighting - Intra Lighting is a specialized manufacturer of architectural luminaires and lighting systems for business premises, public buildings, retail stores and shopping centers, hotels and entertainment facilities. Intra Lighting has been providing lighting solutions for over 25 years and are a globally present international company. JLC-Tech - JLC-Tech is dedicated to maximizing the energy saving qualities of LED's and marrying them to modern, creative and structurally interactive designs. Kurtzon Lighting - Kurtzon Lighting continues its 113 year industry service tradition by providing complete technical solutions for lighting specialized environments. Kurtzon originated a number of lighting concepts such as stainless steel lighting for clean rooms, recessed fluorescent kitchen hood fixtures, a complete product range for wet-location lighting, and lighting for biosafety environments. Lightheaded - Lightheaded (formerly Dasal Industries) is known for product design, testing, production, powder coating & innovations which are all done within their 31,000 sq. ft facility. Dasal's specification-grade architectural lighting products have matured over the years to now include a multitude of Downlights, Recessed Multiples, Pendant Multiples, Architectural Cylinders and an ever expanding array of LED products. LIGMAN Lighting USA - LIGMAN Lighting provides quality high-end outdoor lighting products, with great design influence, to the architectural, design and end-user markets. The well-designed modern luminaires offer customers a wide variety of products for their outdoor lighting needs. LIGMAN also has the ability to manufacture products to meet the specific requirements of customers. Linear Lighting - Linear Lighting Corporation is a manufacturer of specification grade lighting fixtures and systems. LiteControl - For more than 75 years, Litecontrol has been the commercial lighting professional's leading partner in design. From its early innovations in wall/slot lighting, to today's advanced LED fixtures, Litecontrol remains committed to delivering the widest palette of tools and comprehensive services to maximize the power of lighting design and to minimize electric lighting's environmental impact. Lumencia -By specializing in these commodity “buy-in-bulk” and multiple quantity fixtures used in multi-unit projects, Lumencia Lighting provides a wider breadth and depth of inventories, design options and quick deliveries. Lumos - Lumos is your partner for designing and fabricating custom lighting for interior and exterior applications. Whether the project is for high-end residential, commerical, educational, or hospitality, Lumos can assist with an energy efficient, cost effective realization of your design. 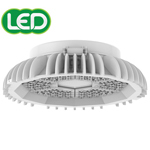 Luminii - Luminii is a manufacturer of specification grade architectural LED lighting products. Their goal is to provide LED lighting solutions for challenging indoor and outdoor applications in commercial, hospitality and residential environments. Lunera Lighting - Lunera Lighting delivers Plug-and-Play LED lamps. Their lamps are simple to install, reliable to operate, and valuable to own. For building owners and operators, Lunera's products reduce operating expenses by lowering electricity and maintenance costs. Replace CFLs, MH, HPS. Lutron - Lutron began with only 2 products in the late 1950's, and now provide over 15,000 products to our global customers. 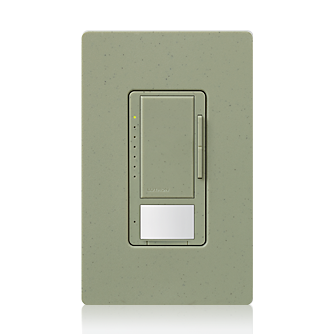 Lutron was also the first to successfully mass-market the dimmer, the first to successfully market systems of linked dimmers, and is still the only company to create systems of dimmers and motorized window shades that control both electric light and daylight. Lyte Poles Inc. - All of our products are built using fabricating and welding procedures outlined. Manual for steel and aluminum to eliminate welding defects and ensure structural integrity. McFadden Lighting - Founded more than 70 years ago, McFadden Lighting is the leading manufacturer of fine architectural lighting based in downtown Saint Louis, MO. Over the years McFadden has risen to prominence in church lighting, custom lighting, and historical lighting restoration. The company also excels in prototyping, retrofit, and boasts the highest quality RLM Lighting in the market. Mercury Lighting - Mercury Lighting has engineered these LED luminaires from the ground up, making the luminaires fit the light source. MHT Lighting - MHT Lighting is a leading manufacturer of energy efficient products in the US. These products include induction and LED lighting and power management optimization systems. New Star - New Star Lighting has been manufacturing confinement and high abuse lighting for the past 20 years. New Star has added VR Architectural lighting (which can withstand the harshest of locations, conditions, elements and vandalism) to our Healthcare and Cleanroom Series. Neptun Lighting - Neptun is a well-diversified manufacturer of energy conservation lighting products such as LED, induction and compact fluorescent. 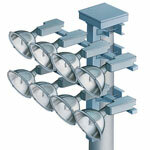 Our products are designed for residential, commercial, outdoor and other infrastructure lighting applications. Neptun offers intelligent solutions for renewable energy generation such as wind and solar. Manufactured in USA, "Buy American" Program. Niland -Niland has a unique and well engineered antique streetlight product to fit your sites needs. They are your one stop shop for outdoor light pole products and steel site furnishings. Noribachi - Noribachi is a leading US-based, premier LED lighting manufacturer for high output commercial and industrial applications. Their modular light engines provide scalable solutions to convert any existing light to LED, via retrofit or new fixture integration. With over 1,200 completed projects and counting–including world class hotels and luxury automobile dealerships–representing a diverse variety of markets across the United States and internationally, Noribachi is driving the LED lighting industry forward, defining trends with passionate devotion to integrity, quality, and design. Ohyama Lights - Ohyama Lights strives to be an innovative company that is responsive to its customers' needs. Orgatech Lighting - Orgatech was formed to market these unique fixture designs which proved to be a great success and formed the base for the introduction of their designs to the U.S. design community. Point Lighting - Point Lighting Corporation personnel will assist customers and their agents in the design of lighting layouts, equipment selection and specifications. Pole-LED - Twelve powerful LEDs distribute the light brightly and uniformly and illuminate the object in a very special way. Signal Tech - Signal-Tech is an American manufacturer of LED signs. Focusing initially on neon and incandescent backlit signs, outdoor direct-view LED signs (primarily used in the banking industry). Sistemelux - Sistemalux designs and manufactures architectural specification grade products for indoor and outdoor applications. By working with architechts, engineers, and designers, Sistemelux provides innovative illumination solutions and technically advanced lighting systems. The design flexibility of the Sistemalux products allows the specifier to adapt the products to their project requirements. SSL (Solid State Luminaires) - Solid State Luminaires manufacturers the next-generation of LED technology at an affordable cost. Our interior LED solutions offer not only affordability and energy efficiency, but also a high level of flexibility in optical controls. Our dramatic exterior lighting solutions offer opportunities to create complete, fully integrated building and grounds treatment. Tokistar Lighting - Tokistar Lighting was first introduced to the market in 1975. Tapelight, the company's first lighting system, set the pace with a pinpoint lighting product engineered to last for years in commercial applications. The success of Tapelight led to the devolpment of many other innovative products. Tokistar lighting systems are installed worldwide in hotels, casinos, shopping centers, restaurants, amusement parks, and luxury residences. WAC Lighting - WAC Lighting designs and engineers decorative lighting, focusing on details and the art of lighting. Be inspired by WAC Lighting's portfolio consisting of architectural, institutional, hospitality, residential, and retail. With 90% of their products fabricated in their zero-landfill campus where they know all the inputs and throughputs, WAC can stand behind a 5 year warranty. Zaneen - Zaneen offers an extensive range of innovative lighting to give designers the ease and ability to work with one company for a variety of specification types. Zaneen works with some of the most renowned lighting designers, architects, interior designers and engineers in North America. Their strong dedication to leading technologies, coupled with well designed and manufactured lighting, ensures their clients receive the best options available.